The Rudd Government knows that Australia needs an effective, streamlined and integrated health workforce if it is to meet the challenges our health system faces in coming years – including the ageing of our population and an uneven distribution of health services. We recognise that increasing numbers of medical students and junior doctors are coming through the system and we need to ensure that students are provided with quality clinical education and training. Since our election two years ago, the Rudd Government has made significant progress to achieve these goals. Accordingly, we led the major health workforce reforms agreed to by the Council of Australian Governments in November 2008 and formalised in the National Partnership Agreement on Hospital and Health Workforce Reform. 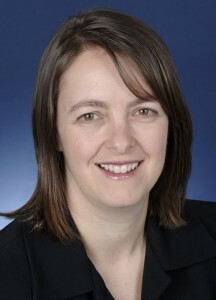 This $1.6 billion package, of which the Australian Government will contribute $1.1 billion, is the largest investment in the health workforce ever made in Australia. This landmark investment includes $1 billion for the clinical training of undergraduate students. Importantly, an agreement was also struck with the states and territories agreeing to provide intern places for students with Commonwealth-supported places. Another key measure in the package is the establishment of Health Workforce Australia (HWA), an independent, truly national body that will work across the health and education sectors to deliver the right number of high quality health graduates. HWA will support workforce reform initiatives: of particular interest to medical students will be its role in funding, planning and coordinating undergraduate clinical training across all health disciplines and in a variety of settings and locations. It will also provide support for an international recruitment program and capital infrastructure, including for simulated learning environments, innovative clinical teaching and training initiatives and rural clinical school programs. We are facing a time of great change for our health system. I recently joined the Prime Minister to announce a vision for the future that will be the most significant health reform since the introduction of Medicare. Simply put, this will mean a national hospital network, funded nationally and run locally. The second plank in this reform is that we intend to produce a health workforce that complements and supports this vision – and you, as medical students, are a vital part of that endeavour. On March 15, the Prime Minister and I announced that the Rudd Government will invest another $632 million to train a record number of doctors – to tackle doctor shortages, expand capacity and deliver better health and better hospitals. This investment will deliver an additional 5,500 new or training General Practitioners, 680 medical specialists, and 5,400 pre-vocational general practice program training places over the next ten years. These major investments will meet projected shortfalls, and help reduce pressure on hospitals by improving access and availability of GP and specialist services. When you have completed your training, we want you to be proud to be joining the Australian health workforce. So we intend to build for you, and all Australians, a health system that is not only able to cope with the challenges ahead, but do so while offering even better quality, even better access, and even greater choice. 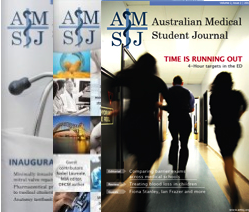 Congratulations on the first edition of the Australian Medical Student Journal and best of luck to all readers with their studies.